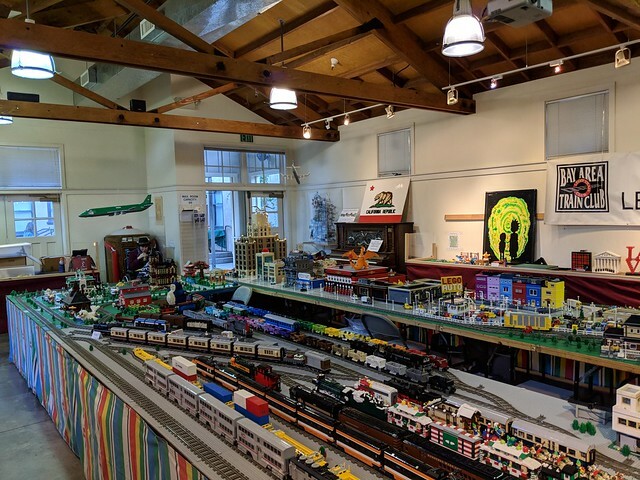 The show features a train layout in the middle of the room, with other exhibits around the walls. 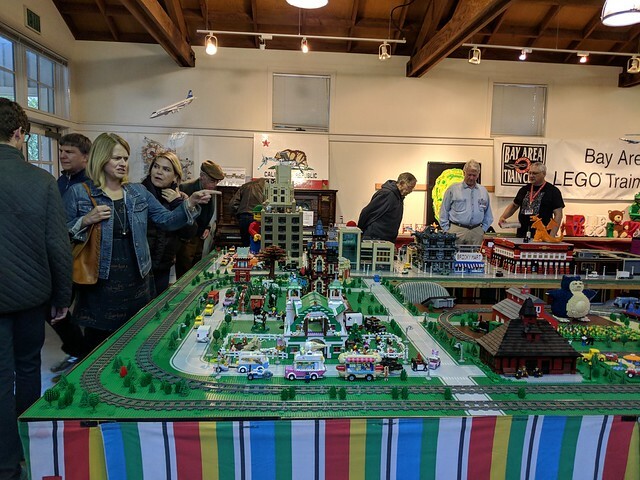 There will be members selling sets on one table, and a “builder in residence” area where members will take turns working on projects while the public move through the show. The cost is $3 per person above the age of 2, which is shared between the club and the museum. I also brought some trains for the layout – my Caltrain, and a Southern Pacific diesel with some freight cars. You can see the Caltrain at the bottom edge of the top photo, but sorry I didn’t take any close-ups. I also brought my Micropolis models, but forgot to take photos of those too. I’ll post more photos as the exhibit goes on, or you can just go there and check them out. After we got it all set up, there was a reception for the donors of the museum. 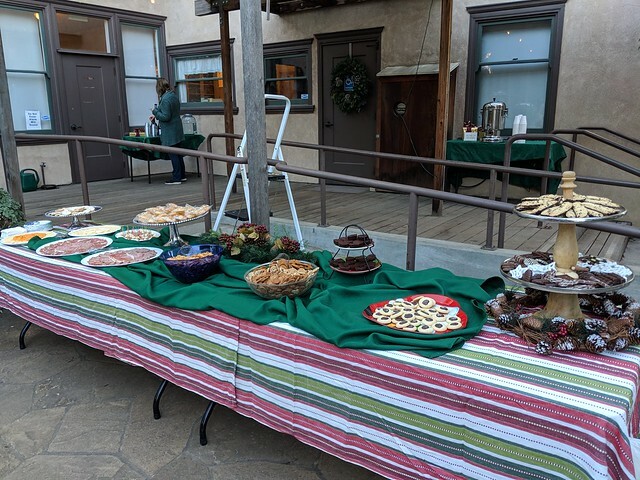 They provided a nice spread of hors d’oeuvres, cookies, popcorn, hot apple cider, and wine. 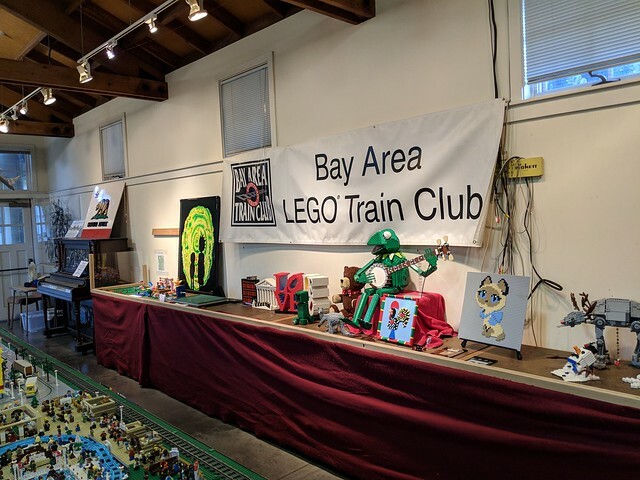 I spent some time chatting with the VIPs and answering questions about LEGO trains, and then went home. See all the photos I took by viewing the album on Flickr.